At CoCard, we’re devoted to making sure our clients find the POS systems best suited to their needs. 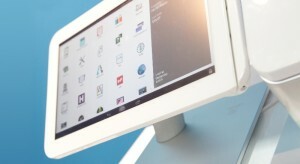 So we’re thrilled to be adding the Clover POS system to our roster of services! In case you’re unfamiliar, a Clover Station is a cash register, terminal and POS system in one that allows business owners to accomplish a range of tasks within one inclusive system. With Clover, you can track your inventory, view reports, and manage employees, while juggling various other tasks. While this system can certainly be implemented at numerous business types, CoCard finds that Clover is the best fit for quick-service restaurants, full-service restaurants and specialty retailers. Thinking about switching? Call us at 1.800.317.1819 or drop us a quick line at sales@cocard.info.